Leah Gunning Francis lived in St. Louis on August 9, 2014, the day Michael Brown died in Ferguson. 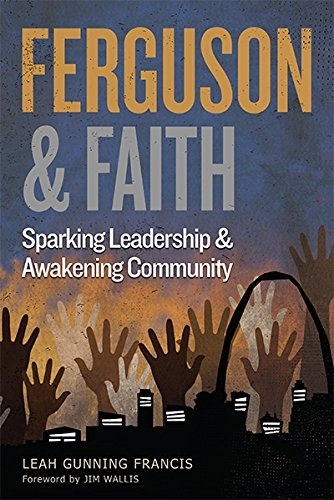 Her new book, Ferguson & Faith: Sparking Leadership & Awakening Community, brings us the thoughts and actions of twenty-four clergy and thirteen young leaders who were active in the community following the tragic death. The perseverance and determination of these leaders led directly to the Department of Justice Report on the Ferguson Police Department, sparked a national conversation on reforming criminal justice system, and renewed the desire to bring about true justice in this nation. Gunning Francis divides the interviews and her prose into ten engrossing chapters. Through these chapters, she examines the events following Michael Brown’s death and the cultural, political, and religious settings in which they happened. This helps us recognize the “Fergusons” in our own communities (and lives), and provides welcome information about what each of us can do. 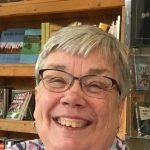 She masterfully uses quotes to introduce the reader to each subject. My favorite was probably the introduction to chapter three, Arundhati Roy’s statement, “Once you see it, you can’t unsee it. And once you’ve seen it, keeping quiet, saying nothing becomes as political an act as speaking out” (p. 37). As a theology professor, Gunning Francis approaches this subject through the framework of faith in action. That spoke strongly to me. I also saw, however, that what she wrote could be helpful to those who approach the work from a more secular stance. For example, in discussing the original meetings among the disparate parties active in the aftermath of the tragedy, she explains that the organizing clergy used meditation techniques to encourage a more peaceful atmosphere. The book is deceptively simple, but leads the reader to think deeply about every story, every perspective. Gunning Francis has a vision of bringing about a world in which each person has dignity and justice prevails. She wants each of us to work towards that goal. Can we do that?